We build technology to enhance your senses, striking design that demands a response and performance that makes you feel more alive. Our cutting-edge systems put pure power at your fingertips. 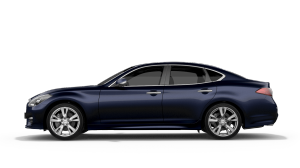 Your life is always moving and INFINITI InTouch with navigation¹ and INFINITI InTouch Services seamlessly bring your world into your car. Stay ahead and in contact with your voice, text, calendar, navigation and music¹. 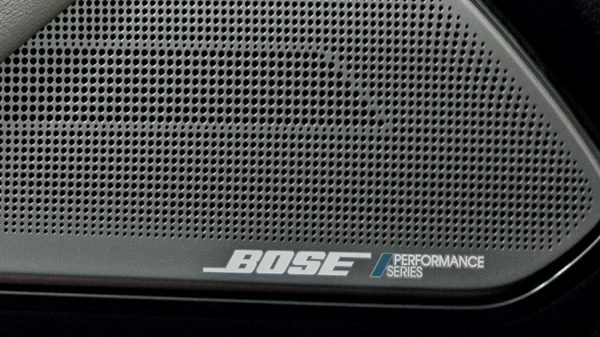 For those who demand a performance-focused sound system, the new Bose ® Performance Series with Advanced Staging Technology delivers. Thirteen High-performance speakers, including multiple new 255 mm and 150 x 230 mm woofers and a lightweight silk dome tweeter achieve "live performance" precision. Revel in a wide and precise soundstage, where the acoustics are always ideal¹. 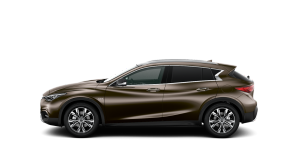 Driver-enhancing technologies allow you to move with a new level of ease on the road, by enabling smarter cruising, faster responses, improved visibility both in front of and around you, and more effortless steering. 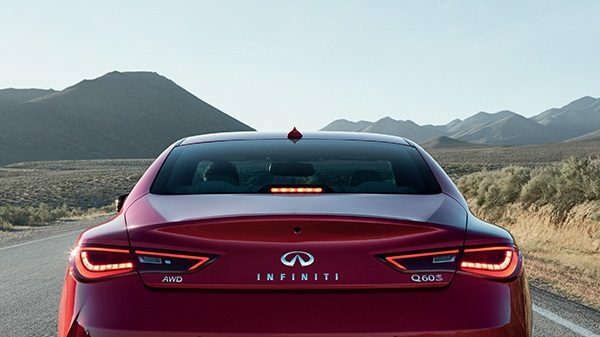 Set your desired speed and safety distance and Intelligent Cruise Control (ICC)¹ with Distance Control Assist (DCA)¹ will automatically and smoothly decelerate in slowing traffic. 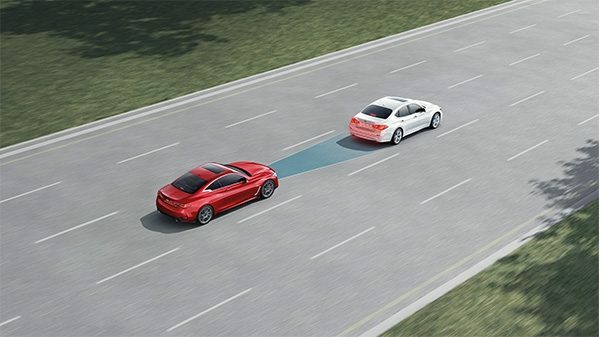 When traffic pace resumes, Intelligent Cruise Control (ICC) will bring you back up to your preset speed and safety distance. 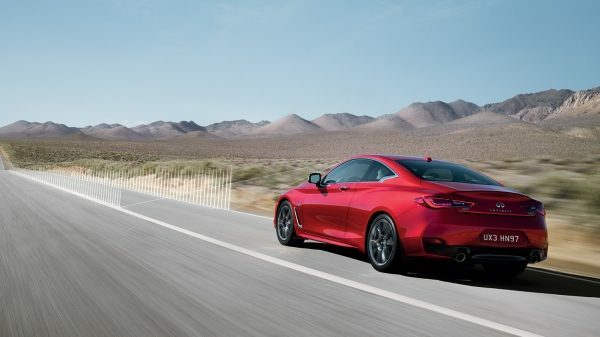 Working with Direct Adaptive Steering®, Active Lane Control¹ proactively evaluates the road ahead and can automatically make small steering alngle corrections if your all-new Q60 experiences minor direction changes due to uneven road surfaces or crosswinds. 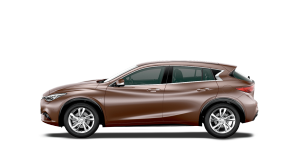 You gain an increased feeling of stability, while reducing steering wheel vibration. 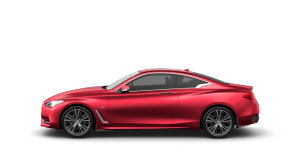 The adaptive front Lighting System (AFS) improves visability and around curves by sensing your steering and turning the headlights. 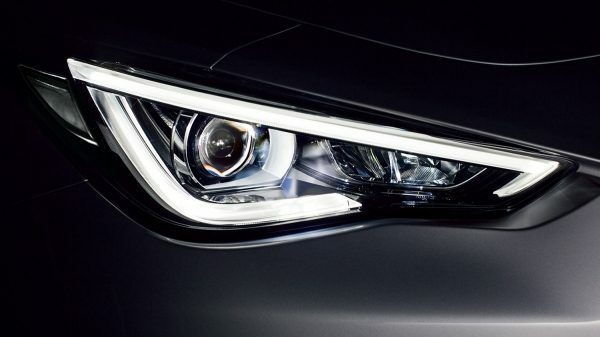 Together with LED auto-leveling headlights, AFS helps you see not just ahead, but around as well¹. Gain a new perspective on what’s around you. 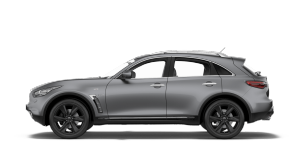 With the Around View® Monitor (AVM) with Moving Object Detection (MOD), four cameras and one virtual 360° view from above makes it easy to see and manoeuvre in even the tightest spaces¹. A unique combination of active and passive safety innovations enhance your ability to respond instinctively. 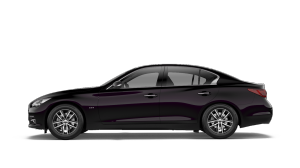 The INFINITI Safety® concept - our comprehensive approach to safety layers technologies to monitor conditions that can help avoid a collision and protect you and your passengers if one occurs. 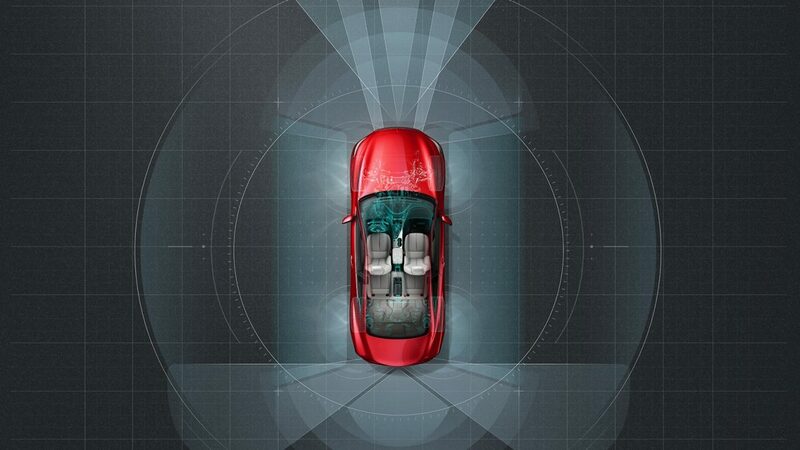 Back-up Collision Intervention¹ helps increase your awareness. 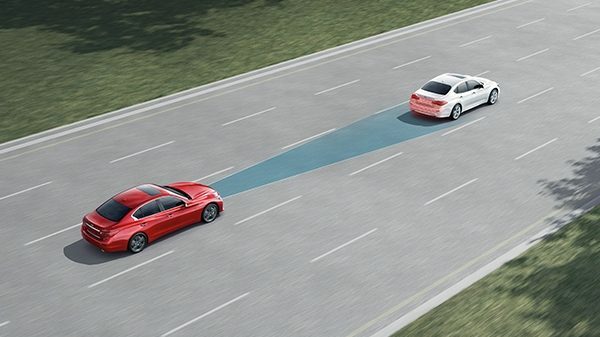 As you back up, the system warns you if approaching vehicles or large stationary objects are detected behind your all-new Q60, and can help you avoid a collision by applying the brakes. 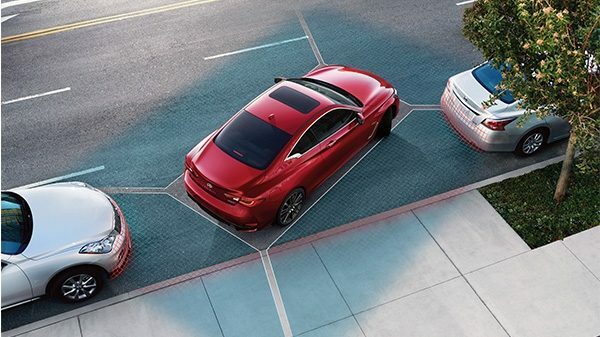 Forward Emergency Braking with Pedestrian Detection¹ uses sensors to watch for vehicles in the lane ahead of you, and if decceleration is required, the accelerator pedal is pushed up and the brakes are applied to help minimise a collision - or possibly prevent one. It also adds another dimension of secutrity by looking out for pedestrians who enter your vehicles path. 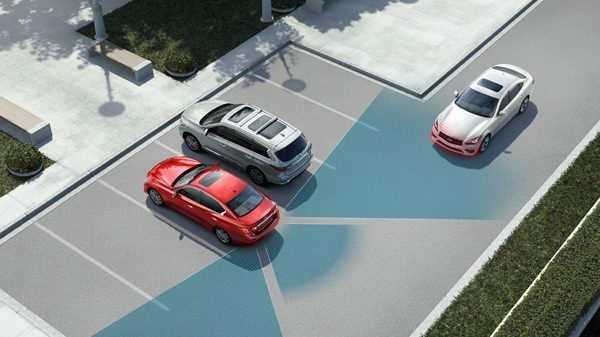 The Blind Spot Warning and Blind Spot Intervention Systems¹ use sensors to detect vehicles entering the blind spot area. First, a warning light will illuminate; then, if you move toward the occupied lane, the steering wheel vibtrates. 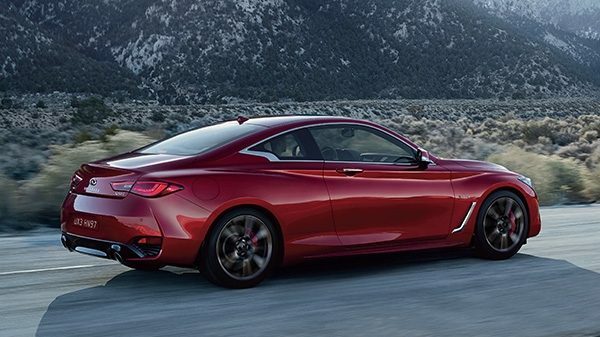 A brief steering or slight breaking input will also be provided to help keep your all-new Q60 in your current driving lane.